The winners each received a £50 voucher to treat their families to a meal at The One Bull, The Cadogan or The Crown and their entries were displayed in the pubs. You can check out their entries and more on Twitter using #TheGreatGustoGarmentGame. Following the success of last year’s The Great Gusto Plate Challenge, this year’s competition ran throughout the summer holidays and all children who ate at The One Bull, The Cadogan or The Crown were eligible to enter (one entry per visit). There were two categories – 5’s & under and 6’s & over. The aim of The Great Gusto Garment Game was to design an amazing new Gusto uniform. 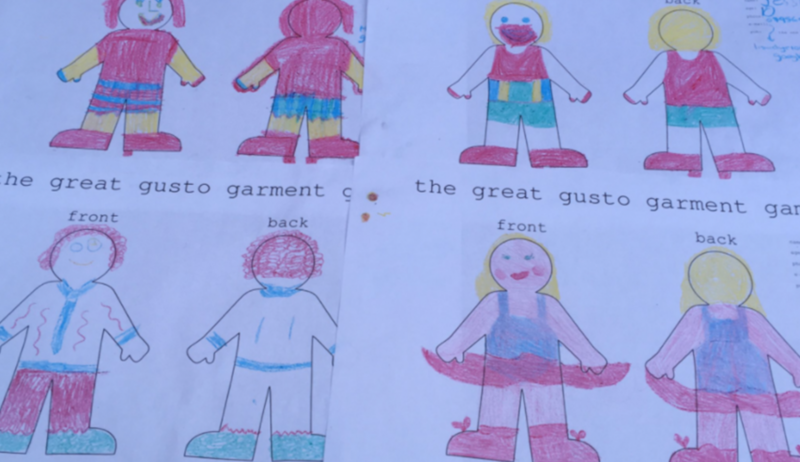 We provided a template sheet and crayons and the rest was up to our younger diners – we had caped crusaders, striking stripy trousers and other equally stylish outfits and we can’t wait for next summer so we can do it all again!